Service businesses don’t get much love on the internet. It seems like all the best online marketing advice is reserved for software startups or product based companies. What about folks who sell good old fashion services? We have needs too. The good news is there are strategies that are working incredibly well for service providers. These strategies are proven, battle-tested, and ready for you to put to work. Social media gets all the fame and glory. But according to a study by McKinsey & Company, email is nearly 40 times more effective at acquiring customers than Facebook and Twitter combined. Why is email such a powerful medium? Not only is delivery almost guaranteed — there’s a lot less noise in the inbox than on social media. Your email is far more likely to reach its recipient than a tweet or Facebook post. The challenge is getting permission to enter the inbox. To entice prospects to join, your newsletter offer needs to evoke the fear of missing out. Case Study: Bond Beebe Accountants & Advisors has an entire library of accounting newsletters. From taxation to payroll, their newsletters are indispensable to CFOs and Controllers — the kind of people who decide which accounting firm to hire. If you’re reading this, you’re witnessing the power of guest blogging first hand. I’m a service provider and I know my target audience reads Duct Tape Marketing — that’s why I’m here. If my strategy works, you’ll be intrigued by this post and you’ll click over to my website to join my newsletter. After that, it’s up to me to make sure you never regret it. The odd guest post here and there won’t do much for you though. Guest blogging only becomes powerful when you start regularly showing up on your industry’s popular blogs. Case Study: Rachel Rodgers is an intellectual property lawyer. She recently made waves among Copyblogger’s massive audience of digital media producers when she wrote this post on how to protect your content. 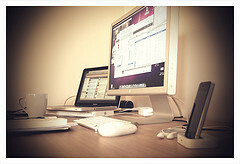 Podcasting today is where blogging was 10 years ago. It’s getting crowded, but there’s still tons of opportunity to stand out and reach your audience. You don’t need to be some kind of entertainer or radio personality to produce a successful podcast either. In fact, the easiest way to build a popular podcast is to interview other experts in your industry. Interview based podcasts are not only less work to produce — they also grow faster because your guests will share the interview with their networks. Case Study: Trent Dyrsmid is a digital marketer who runs the Bright Ideas podcast. His podcast quickly rose to the top through high profile interviews with people like Jay Baer, Guy Kawasaki, Rand Fishkin, Michael Stelzner, and more. Online courses are becoming a popular medium for service providers because they offer an opportunity to build extreme trust before the sale. If your space is ripe with DIYers who think they can do it on their own — they’ll jump at the opportunity to learn how to do what you do. Then it becomes your job to demonstrate why the task is better left to the pros. On the other hand, if you offer a service that people know they can’t do on their own, your course will differentiate you from the competition by demonstrating your expertise and authority. In both cases, if your course delivers the goods, you should be top of mind when it comes to making a hiring decision. Case Study: Henneke Duistermaat offers a free 16-part snackable writing course on her website. Why would Henneke give away her “trade secrets” for free? Because she knows that many of her students will eventually end up hiring a professional copywriter. If you’re just getting started with your online presence, start with a simple email newsletter. Email is a low-stakes way to get your feet wet and start producing content right away. Done right, the process of publishing an email newsletter will generate plenty of ideas to fuel your guest posts, podcast, and online courses. Ready to get started planning a newsletter? Download this worksheet today. 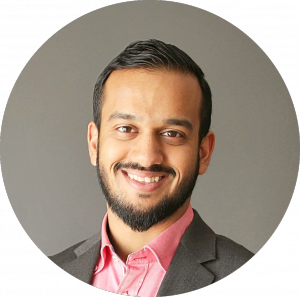 Ahmad Munawar is the founder of Boutique Growth — a digital marketing agency for professional services firms. He helps professional service providers and consultants generate more leads, win bigger deals, and accelerate growth. Ready to take your service business to the next level? Join his once-a-week email newsletter for expert marketing advice you don’t want to miss.